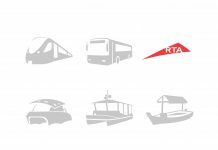 The Roads and Transport Authority (RTA) announced the timings set for different services during the holy month of Ramadan covering customer service centers, public car parks, public buses, Dubai Metro, Dubai Tram, marine transit modes, and strategic partners’ centers. Yousef Al Reda, CEO of RTA’s Corporate Administrative Support Services Sector said: “Modifying service delivery timings during the holy month of Ramadan aims at improving various services provided by RTA’s agencies to community members to cope with the changes in the daily life routines during the month, which are different from the days of the rest of the year. 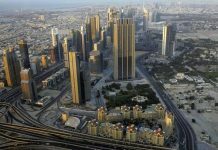 “As for the timing of paid parking zones in Dubai, the fee would be activated in all car parks coded A, B, C, D, & G from 8:00 am to 10:00 pm from Saturday to Thursday. Code E fare would be applicable to the Fish market parking lot daily from 8 am to 11 pm. 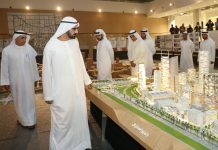 Code F fare would be applicable to the parking of Tecom (Dubai Media City and Dubai Internet City) the Knowledge Village from 6:00 am to 8:00 pm, and the fare would be applicable daily around-the-clock to the multi-level parking buildings,” explained Al Reda. 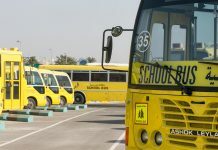 Detailing the service timing of the bus services, the CEO of Corporate Administrative Support Services Sector said: “The bus service would run during the month of Ramadan as follows: in main stations such as Gold Souq and Ghubaiba, the service would start at 5:00 am and end at 12:00 midnight. 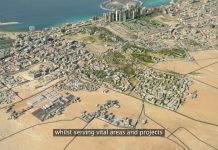 In subsidiary stations, such as Al Qusais, the service would operate from 5:15 am to 12:00 midnight, and Route C01 from Satwa Station would be operational around-the-clock. Jebel Ali Station would operate buses from 05:30 am to 10:30 pm, and Al Quoz Industrial Area Station would operate from 05:15 am to 12:00 midnight. 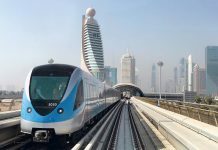 Metro Feeder Stations, such as Rashidiya, Mall of the Emirate, Ibn Battuta, Burj Khalifa-Dubai Mall, Abu Hail and Etisalat stations will start at 5:15 am and close at 12:30 am (past midnight) from Saturday to Wednesday, from 5:15 am to 1:10 am (of the following day) on Thursday, and on Friday from 9:30 am to 1:10 am (of the following day). 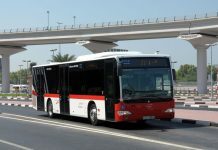 During the month of Ramadan, inter-city bus services will be operational as follows: main stations, such as Ghubaiba, will be operational 24-hours a day, and subsidiary stations, such as the Union Square, Sabkha, will start service at 6:15 am and continue to 1:30 am (of the following day). Deira City Center, and Karama stations would operate from 6:00 am up to 11:00 pm. 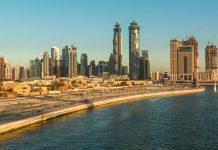 External stations, such as Sharjah (Jubail) would be open 24-hours a day, Abu Dhabi Station would operate from 5:00 am to 12:25 am (past midnight), Fujairah station would be open from 5:55 am until 9:35 pm, Ajman station would be open from 5:00 am to 10:00 pm, and Hatta station would operate from 5.30 am up to 9:30 pm. “As for the metro service timing, all stations on the Red Line would open from Saturday to Wednesday from 5:30 am to 12:00 am (midnight). On Thursday the service would be from 5:30 am to 1:00 am (of the following day), and on Friday from 10:00 am to 1:00 am (of the following day). 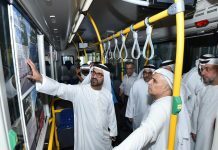 All stations on the Green Line would open from Saturday to Wednesday from 5:50 am to 12:00 midnight, on Thursday from 5:50 am to 1:00 am (of the following day), and on Friday from 10:00 am to 1:00 am (of the following day),” explained Al Rida. The Abra will operate during Ramadan as follows: traditional Abra at Dubai Creek stations (Al Ghubaiba, Al Sabkha, Baniyas, and Old Dubai Souq) will operate from 10:00 am up to 12:00 am (midnight). Blue Abra will operate as follows: Burj Khalifa/Dubai Mall Abra from 8:00 am to 11:00 pm, Al Mamzar abra from 8:00 pm to 2:00 am (of the following day), Atlantis Abra from 1:00 pm to 9:00 pm, and the air-conditioned abra at Al Jaddaf station at the Dubai Festival City from 7:00 am up to 12:00 (midnight). Strategic partners’ centers will operate on two shifts. Tasjeel Al Tawar, Mumayaz Car Testing (Al Mizhar Markets), Wasil Car Testing (Al Jaddaf, Al Arabic Center, Nad Al Hamar) will be open in the morning from 9:00 am to 3:00 pm, and in the evening from 9:00 pm up to 2:00 am (of the following day). Shamil Al Adid, Al Muhaisna, and Shamil Nad Al Hamar, Al Ghandi (Tamam), and Cars Testing Center will open in the morning from 9:00 am to 3:00 pm, and in the evening from 9:00 pm to 12.00 (midnight). Tasjeel Hatta will open in the morning from 8:00 am to 2:00 pm, but will close in the evening. Tasjeel Jebel Ali will open in the morning from 8:00 am to 4:00 pm, but will close in the evening. Tasjeel Al Qusais will open in the morning from 8:00 am up to 5:00 pm, and in the evening from 8:00 pm to 3:00 am (of the following day). Tasjeel Al Warsan, Tasjeel Al Barsha will open from 8:00 am to 4:00 pm and from 9:00 pm to 2:00 am (of the following day).